We hope you enjoy these interesting and informative articles and posts. Be sure to check back as our news feed is updated regularly. 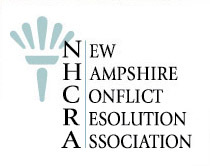 The NHBA Legislative Committee is in the process of reviewing 4 House Bills, and is looking for feedback from Section members before making recommendations to the Board of Governors. Below are links to each of the proposed bills, as well as summaries of each. Please feel free to send any feedback to Chrissy Hanisco, at cmhanisco@steinlawpllc.com. HB 377 – relative to the best interests of the child under the child protection act RSA 169-C; This Bill amends the purpose statement for the child protection act. HB 451 – relative to term and reimbursement alimony; This bill permits the court to use a different ending date in measuring the length of marriage for purposes of determining alimony. The current law permits the court to use a different beginning or ending date under certain circumstances. HB 547 – relative to the emancipation of minors. This bill establishes a judicial procedure for the emancipation of minors and provides that child support shall terminate upon a minor’s emancipation. The bill is a request of the committee to study emancipation of minors, established in 2018, 297 (HB 1377). HB 583 – relative to the procedures governing guardian ad litem and relative to parental rights and responsibilities; This bill makes various changes to RSA 461-A, relative to parental rights and responsibilities and the role of a guardian ad litem, including changing the legal standard from the best interest of the child to a consideration of the child’s safety and legal rights; permitting either party to request an evaluation of the child to assess the child’s maturity; making mediation voluntary; and more narrowly defining the role of guardians ad litem.